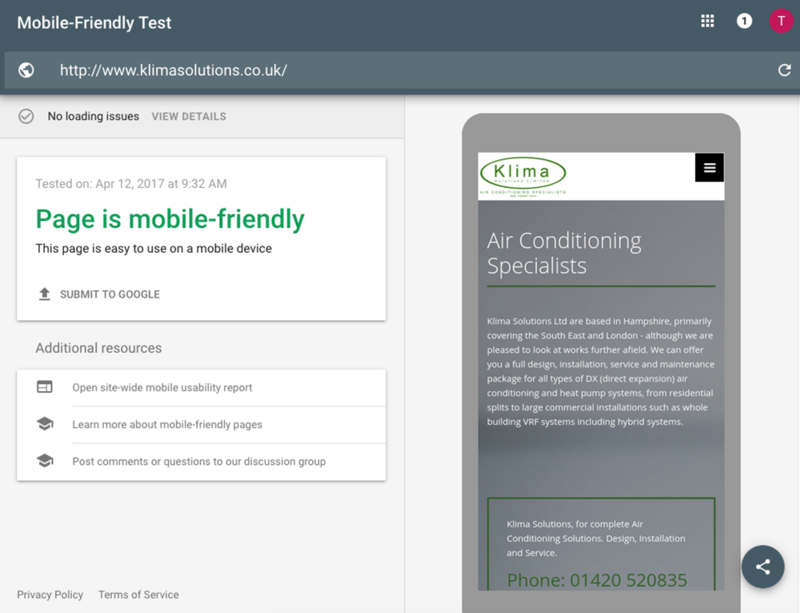 This week's website of the week goes to Klima Solutions. 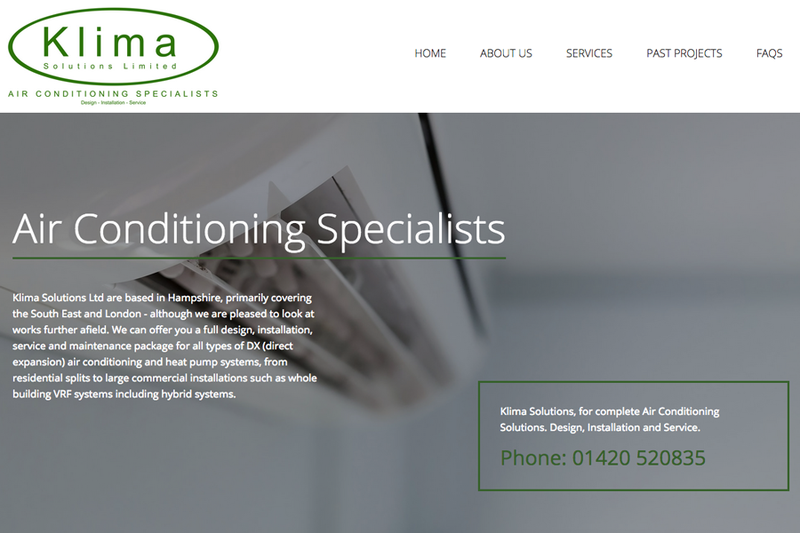 Klima offer you a full design, installation, service and maintenance package for all types of DX (direct expansion) air conditioning and heat pump systems. 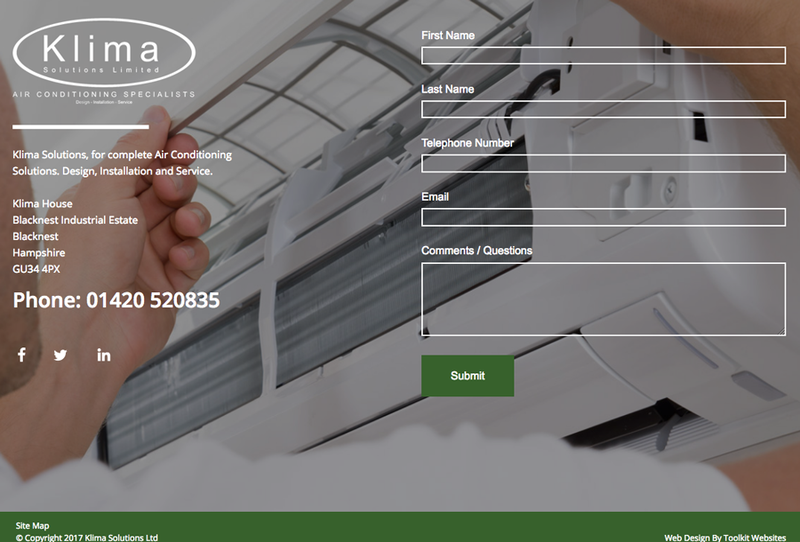 The website features a neutral white/ light grey colour scheme paired with the company green. The combination of colours makes for a clean and professional feel throughout. The website features hover over effects on the images, a news scroller, parallax scrolling images and expandable divs that open up to show more content that is hidden until the button is clicked on. 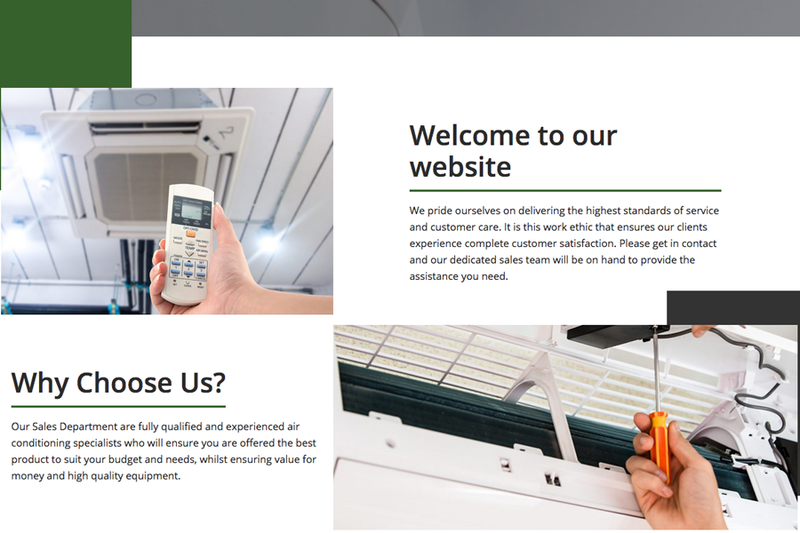 The website features imagery of air conditioning units and more which is representative of the company services. Each image has been selected to compliment the overall website look and feel and colour scheme. Did you know... that having Google Analytics means that you can track users on your website. You can see what keywords are typed in to find your website, what pages are looked at the most and more. It's really useful data, and we can set it up for you for a one off cost as part of your package.